DOB is trying to make sure only the rich get to build. 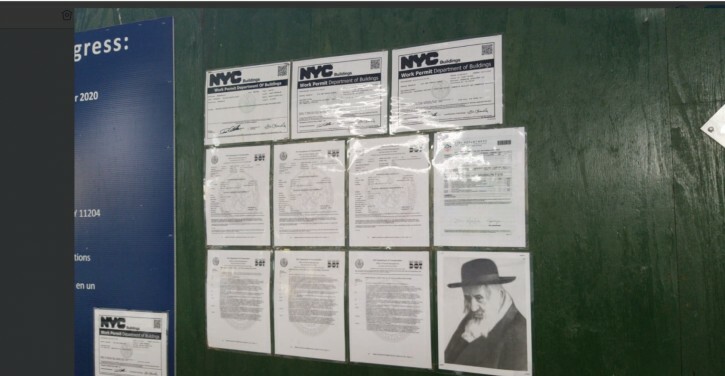 I wonder why they had to put up a picture of R' Shayaleh Kerasteirer..
Who is the rebba in the picture,? and what does he have to do with the construction site? It is so nice to see Reb Shaya watching over everyone. There goes the cash register !!! I believe you are a mouse. VIN, stop letting rodents post on VIN! I can't catch them if they're in their mouseholes on the Internet. DOB is extremely corrupt and incompetent. they are typical NYC lazy workers. Just like no one likes traffic cops. We'd be in much worse shape without them.